Brief Report: Cognitive Performance in Autism and Asperger’s Syndrome: What are the Differences? Autism spectrum disorders include autistic and Asperger’s Syndrome (AS), often studied in terms of executive functions (EF), with controversial results. Using Planning Attention Simultaneous Successive theory (PASS; Das et al. in Assessment of cognitive processes: the PASS theory of intelligence. Allyn and Bacon, Boston, MA, 1994), this research compares the cognitive profiles obtained by the Cognitive Assessment System (CAS; Naglieri and Das in Cognitive assessment system. Riverside, Itasca, IL, 1997) of 15 subjects with typical development, 18 with autistic disorder and 20 with AS. Results highlight lower profiles for children with autistic and AS compared with typical development and even lower Planning and Attention processes for the group with autistic disorders than that with Asperger’s. Subjects with Asperger’s diagnosis do not differ from those with typical development as regards Simultaneous and Successive processes. Results are discussed in the light of current studies about EF. American Psychiatric Association. (2012). DSM V development: Autistic disorder. Retrieved October 2012 from http://www.dsm5.org/ProposedRevisions/Pages/proposedrevision.aspx?rid=94. Katagiri, M., Kasai, T., Kamio, Y., & Murohashi, H. (2012). Individuals with AS exhibit difficulty in switching attention from a local level to a global level. 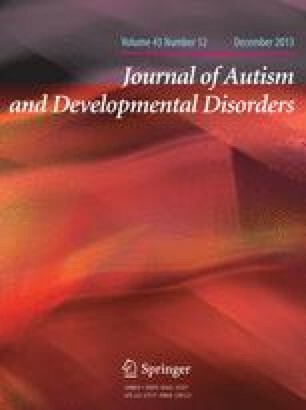 Journal of Autism and Developmental Disorders. doi: 10.1007/s10803-012-1578-9. Kupfer, D. J., Kuhl, E. A., & Regier, D. A. (2013). DSM-5–The future arrived. JAMA: The Journal of the American Medical Association. doi: 10.1001/jama.2013.2298.